Annie Armstrong Easter Offering: It’s the primary way we support Mission efforts in North America. 100% of the gifts given to the offering are used to support Southern Baptist missionaries servicing across the United States and Canada. Your prayers and gifts are our way of sending our love to our missionaries. Senior Recognition Service will be held May 5. FBC is in need of information to share with the congregation…favorite bible verse, plans for your future, senior picture, etc. Please pick up a form in the office hallway or go to http://www.centraliafbc.org/c4youth and return by May 1st. Newsletter: FBC Newsletter is sent our every two months. January, March, May, July, September, and November. The next deadline for information to be published is Friday, April 26, 2018. 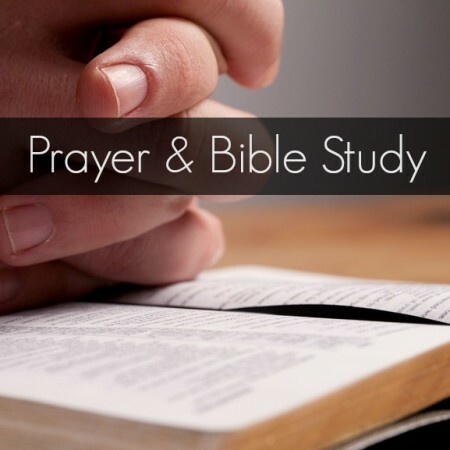 Wednesday Evenings at 6 p.m. This Wednesday, April 24th will be the last Wednesday Dinner till the new school year starts in the fall. If you have not had the opportunity to come yet this year, please do and enjoy the fellowship and food even if you have no other activities. If you have never enjoyed the food you don't know what you are missing. The cost is only $3 for adults and $2 for children donations. Please join us even if the cost is an issue for your family, our ministry is to feed those that wouldn't get a good meal otherwise. We have some fantastic cooks that rotate each month and have some awesome meals they plan. Thank you to each one of them that do a great job each week. Please consider sharing your time and cooking talents to serve God with this ministry on a rotating basis. We have an entire Sunday School class right now that helps us cook. Please prayerfully consider helping this next year as we always need cooking teams. The more cooking teams we have, the less often each team will cook. Or maybe have your Sunday School class use this as a mission endeavor they all can participate in. Yes, it is hard work and time consuming, but the rewards of helping others is why we do this. Contact the church office or Kenny Ball at 682-7256 for details. We meet at McDonalds every Thursday at 6:30am. Right now we are studying the book of Matthew. If you need more information, call Don Rodgers at 573-682-4404. Take your pick which time or come to both! At Bryson's home, 539 E. Gano Chance Drive. All are welcome, we are studying the Gospel of Mark. NO MEETINGS on April 15 and 22. We will resume on April 29. We meet the first Thursday of each month at 1:00pm in the church fellowship hall. Come join us as we do a variety of mission projects. As we are settling into our new rooms and new routine in the children’s and nursery departments, we wanted to make you aware of a few things. All children need to be checked in downstairs in the lobby. If the computers are not working properly, or you have a child that is not registered, please find Pastor Chris, Nicole Rhoades or Nancy Nelson and we will help you. Please make sure you have your “claim ticket” and make sure your child is wearing their name tag. This process is for the safety of our children. As we continue to grow, there will be people we don’t know joining us and we need to get in the habit now of checking in and out and wearing the stickers. I know the older children are not that excited about wearing the stickers, but please help us by stressing the importance of wearing the stickers. For dismissal, the children will be in their rooms. When you come to pick your child up, please make sure that you stop and give us your ticket, we will check your child(ren) out. Nursery parents will be allowed to pick up their child(ren) once they have been checked out. Children’s department, we will get them for you. This will eliminate any chaos and confusion in the door area. If your child will be attending Children’s Church, we will give the ticket back to you. You will need to show your ticket to whomever is in charge of Children’s Church that week and they will call your child to you. Check out time can be hectic and we are trying to keep everyone safe. We will not let your children leave without your “claim ticket.” If you want someone other than you to pick up your child, they MUST have the ticket. and fever. Your child must be fever free/on medication for 24 hours before coming to class. Please do not let your child come upstairs any earlier than 9:20. We cannot have students upstairs without adult leaders. Teachers will be here by 9:20. When students come upstairs, they need to find their designated class area in the open area, by the stairs, and sit down. We will begin doing an opening every Sunday morning in this area before we head to class. Please check the calendar of dates on the bulletin board as well. We have lots of fun activities planned for kindergarten-5th grade. You will also find registration forms for TeamKID and VBS as well as the medical release form for any field trips we take. As with any change, it will take time to work the kinks out. Please be patient as we all learn this new procedure. Last week, Chris told us some startling statistics regarding the safety of children. Please remember this is all in an effort to keep your children safe. When we receive a card…especially one through snail mail…it reminds us that someone cares. For a while cards have been available in the hymnal racks and on a shelf in the library foyer for your use in reaching out to say you care. Pick one up today…perhaps even one each week… and mail it to someone you have missed, someone who is ill or recuperating, or someone to whom you want to say thank you. Missy Belshe oversees this ministry; watch for her new ideas about how to reach out. For those of you who donate your extra cards, please keep them coming; they are a great help! 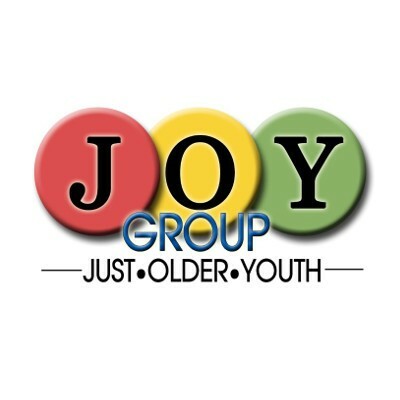 Just a reminder that the JOY meeting is held on the 4th Friday of every month. Senior adults 55 years and over are eligible members. Guests are welcome. C4 Bible Challenge; We want to encourage you to post a picture each day of you reading your bible. This is a way of encouraging others and having accountability. FBC 150th BIRTHDAY CELEBRATION…2021! We are hoping to get stories about members…both past and present to help us “tell our story.” Some of you have promised to share stories, and a few neat ones have come in, but we need more! Tell about something that just happened that will uplift or amuse, or tell about something you heard or remember from past years. For instance, Jeana Calloway-Hodson wrote about the impact Betty Chiles has had on her life as a young pastor’s wife. How the lights went out as Rev. Howard E. White was presenting flowers one Mother’s Day and Art Allen’s reaction was priceless! A collection envelope is located under the bulletin board in the library foyer. Sunday School begins at 9:00am. If you need a ride, call 573-682-2148 during the week. The Pantry is open the 3rd Wednesday of every month. Would you like to get announcements and notifications by email? You will receive cancellations, ministry notifications, deaths, births, prayer concerns, etc. Please email the church office if you are interested in getting these various notifications. jstelzer61@gmail.com. Background Checks are needed for everyone volunteering with children and youth. Forms are found in the office hallway in the folder holder. Please complete the form and turn it in at the church office as soon as possible. Even if you have had a background check at another facility, you are also required to have one done at First Baptist. Please complete a form for FBC. The challenge is on! And it comes with three options: #1 Take a box home and fill it with items to bless a child. As you do, pray for the child who will receive it. #2 Collect and donate items for the Team Kids to pack in boxes next fall. The crate for donations is outside the office area. #3 Donate money to help with processing, shipping, and training as well as the cost of the Greatest Gift Gospel materials used to bring the gospel to the children, a total of $9 per box. What goes in a box? Things to delight and bless a child who may have never had a gift. Include a quality “WOW” toy such as a doll, soccer ball with pump or stuffed animal. Fill with other fun toys, hygiene or clothing items and school supplies. Think boys/girls, ages 2-4, 5-9, 10-14.